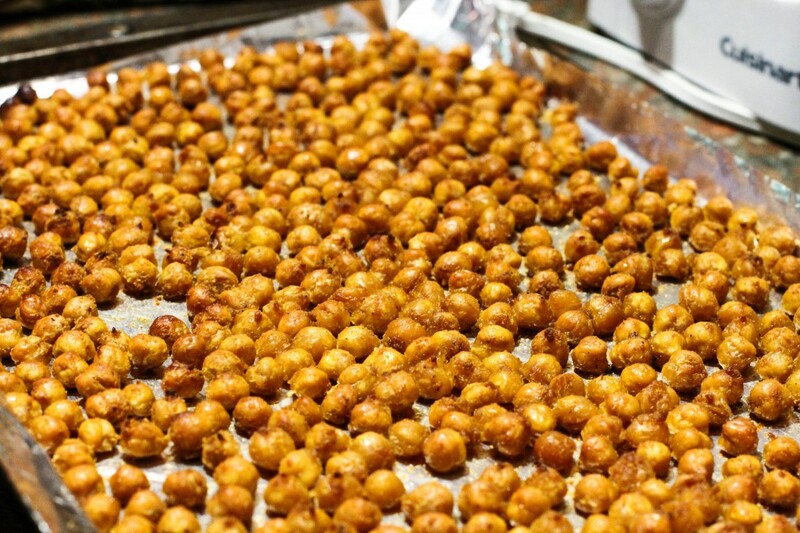 If you find yourself looking for a salty snack the next time you are at Collis, don’t reach for the chips—hit up the chickpeas. With only 4 ingredients, an oven and 35 minutes, you can bake yourself an entire pan of extremely filling, protein-packed, spicy, crisped little chickpeas. Flavor and texture-wise, they’re what I imagine the love-child of corn-nuts and cajun fries would taste like. A little crunchy, a little chewy, a little spicy and very tasty. All of the ingredients can be found at Collis and the spice/oil/salt ratio can be adjusted to your liking. On top of that, they are super easy to make and don’t require any cooking supplies other than an oven and a baking sheet. 1. 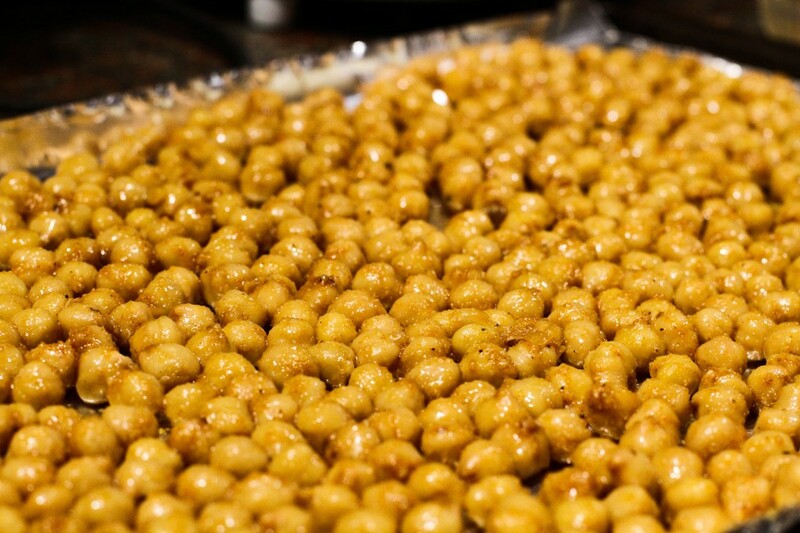 Toss the chickpeas, olive oil, salt, and spices in a bowl or container. Tip: You can use the same plastic clamshell container they came in from Collis. 2. Pre-heat the oven to 400°F. 3. 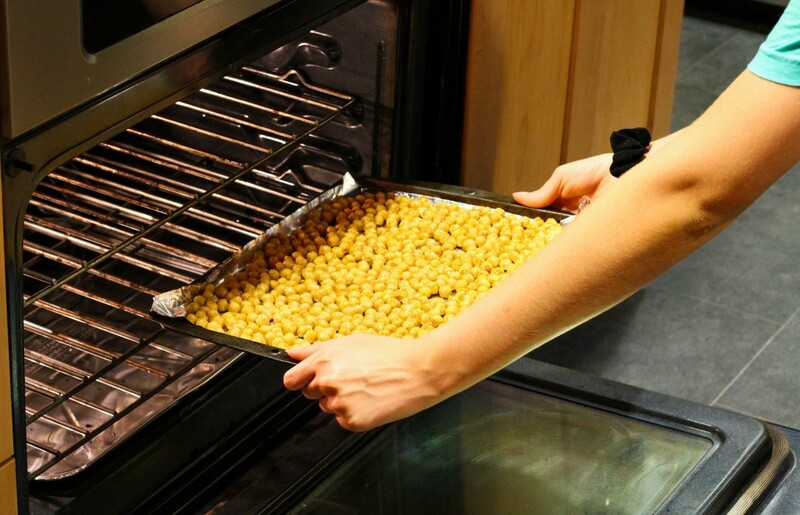 Evenly spread chickpeas out on a medium-sized baking sheet. I recommend covering it with aluminum foil for an easy clean up. 4. Bake for 30 minutes or until desired crispiness has been achieved. 5. Let cool for 2-3 minutes and enjoy!